What might be in store for the financial markets this year? That is a question that many investors are asking following a difficult end to 2018. While no one can predict the future, we can look at the fundamentals of our economy to help answer that question. Our partners at LPL Research have analyzed the economic data and released a new brochure: Outlook 2019: FUNDAMENTAL: How to Focus on What Really Matters in the Market. This publication is filled with investment insights and market guidance for the year ahead - and I thought you might like to take a look. Sustaining growth via fiscal policy. I expect the ongoing impact of fiscal stimulus will be readily apparent in 2019 and that policy will continue to play an important role for the economy and financial markets - potentially extending the duration of the current business cycle. Creating opportunity amid rising volatility. I believe any bouts of market volatility should be embraced—not feared—by suitable investors as an opportunity to rebalance portfolios toward targeted allocations. Fundamentals in focus. 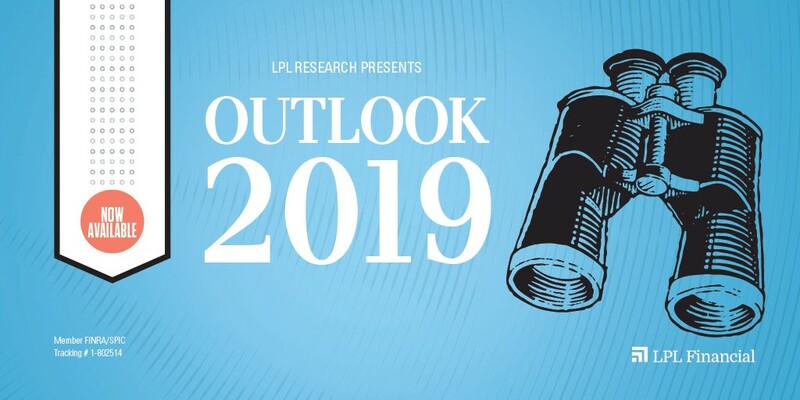 Despite the market weakness we saw at the end of 2018, LPL Research expects the U.S. economy to grow in 2019 and support gains for stocks. However, risks such as trade uncertainty, slowing global growth, and geopolitics do require careful monitoring, for their potential impact on the markets and economy. John Lynch, Executive Vice President and Chief Investment Strategist at LPL Research does not anticipate a recession to begin in 2019. I believe with the research provided by LPL and others, we can expect investors to remain prepared for investment opportunities ahead. As always, if I can be assistance with this, or any other financial matter, I am only a phone call (or email) away. Divided into four broad chapters interspersed with helpful sidebars, FUNDAMENTAL: How to Focus on What Really Matters in the Markets presents the expectations from one of our research partners, LPL Research. They are one source that we rely on to help us form our expectations for the year ahead. I think you'll find the information presented in a way that's easy to digest. If you'd like your FREE copy, use the order form below. Your copy will be delivered to you electronically as an instant download.